LBJ – After powerful Senate Majority Leader Lyndon Johnson (Woody Harrelson) loses the 1960 Democratic presidential nomination to Senator John F. Kennedy (Jeffrey Donovan), he agrees to be his young rival’s running mate. But once they win the election, despite his extensive legislative experience and shrewd political instincts, Johnson is sidelined in the role of vice president. That all changes on Nov. 22, 1963, when Kennedy is assassinated and Johnson, with his devoted wife Lady Bird (Jennifer Jason Leigh) by his side, is suddenly thrust into the presidency. As the nation mourns, Johnson must contend with longtime adversary Attorney General Bobby Kennedy (Michael Stahl-David) and one-time mentor Georgia Senator Richard Russell (Richard Jenkins) as he seeks to honor JFK’s legacy by championing the historic Civil Rights Act of 1964. The film takes its audience up close to the psychological truth of LBJ’s complicated fusion of racism and racial enlightenment. His commitment to the Civil Rights Act becomes a way of seeing where the winds are blowing, but also letting those winds sculpt the sands of his humanity. To change the country, he changes himself. ABOUT MARC SHAIMAN - Five-time Oscar® nominee—and Emmy® and Tony® Award winning composer—Marc Shaiman has written original songs and scores for a wide range of projects spanning film, television, and Broadway. His film works include Hairspray, The Bucket List, South Park: Bigger Longer & Uncut (Academy Award nominee), A Few Good Men, Patch Adams (Academy Award nominee), In & Out, First Wives Club (Academy Award nominee), The American President (Academy Award nominee), City Slickers, Sister Act, The Addams Family, Sleepless in Seattle (Academy Award nominee), and When Harry Met Sally. His stage work includes the Broadway hit Hairspray (Tony Award winner), Fame Becomes Me, The Odd Couple, Catch Me if You Can and most recently Charlie and the Chocolate Factory which opens on Broadway in April. Shaiman received his third Emmy nomination for his original song “Hang the Moon” for the NBC musical series Smash, which Shaiman executive produced with Steven Spielberg. Shaiman’s recent film work includes the score to long-time collaborator Rob Reiner’s inspirational drama The Magic of Belle Isle starring Morgan Freeman, Reiner’s romantic comedy And So It Goes starring Michael Douglas and Diane Keaton, and Parental Guidance starring Bette Midler and Billy Crystal for Fox. 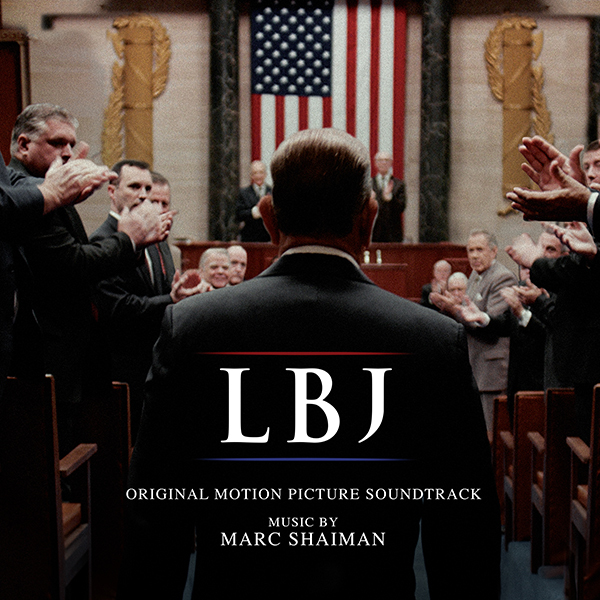 Shaiman’s recent projects include the remake of Disney’s beloved classic, Mary Poppins Returns, and the Rob Reiner film LBJ, a biopic about former president Lyndon B. Johnson starring Woody Harrelson.